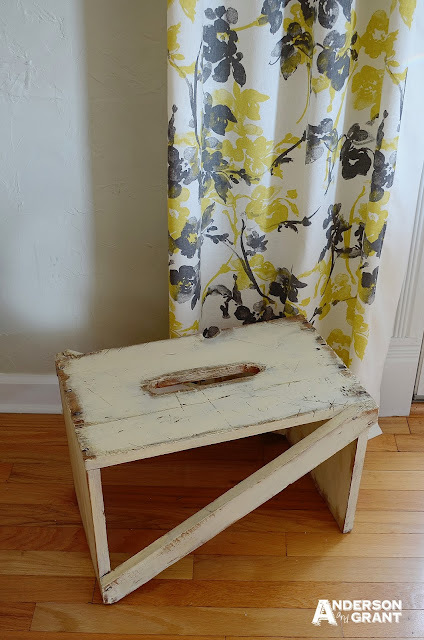 Looking back through some old posts, I realized I had shown you a stool I picked up from a yard sale promising to show you the finished stool the next week. That was months ago and I never showed you the completed project. My apologies, but here it is now. 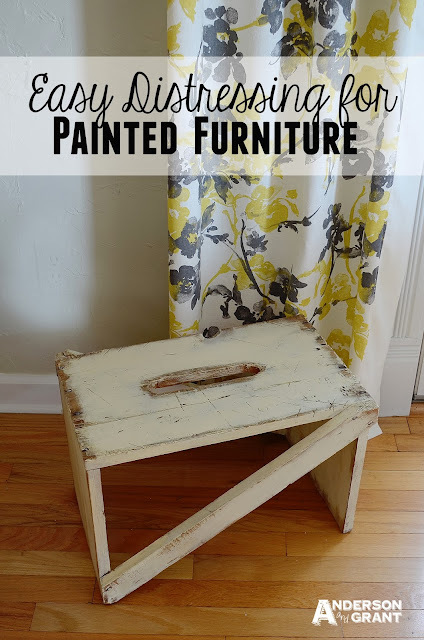 This stool had a lot of character to it that could only be achieved from years of wear and tear...lots of chips and nicks in the wood and spatters of multiple paint colors. The stool was obviously handmade......probably just thrown together using some scraps of wood and was likely never intended to be a decorative piece. 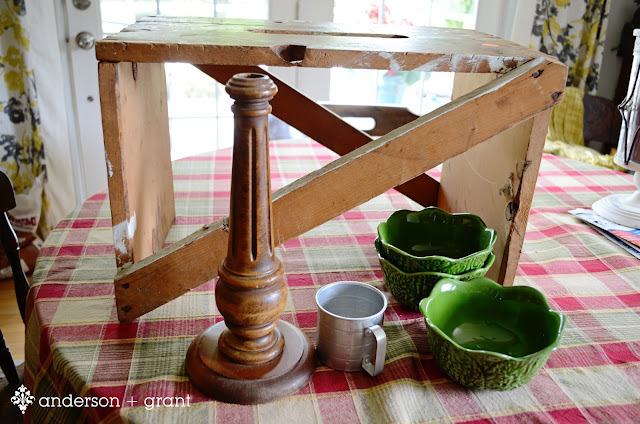 I love finding old pieces that were made out of necessity but can now serve another function. 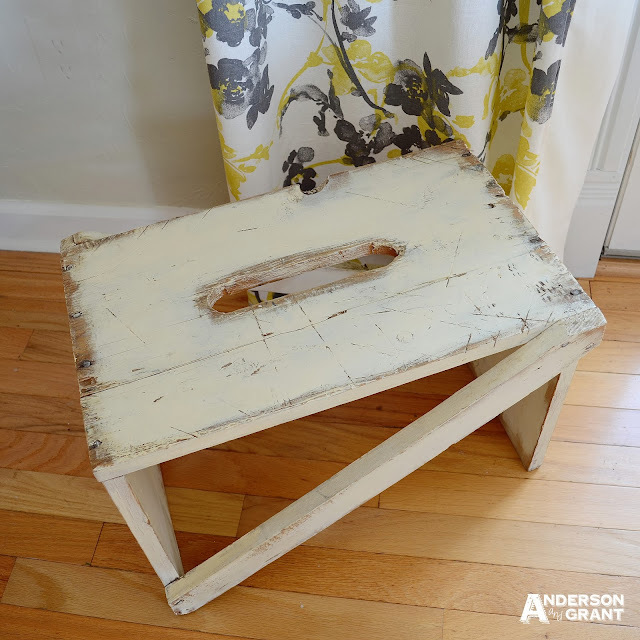 I loved the stool the moment I saw it because I knew I could update it while maintaining its character. I knew I wanted to paint it, but wanted to make it look as though the paint had been wearing away for years. I typically wax the edges of my wooden pieces so that the paint easily chips away after I'm done painting. I wanted more of a worn look than just a little wear on the edges, though. I found the easiest way to achieve a really worn finish is to basically do a really poor job of painting the piece. 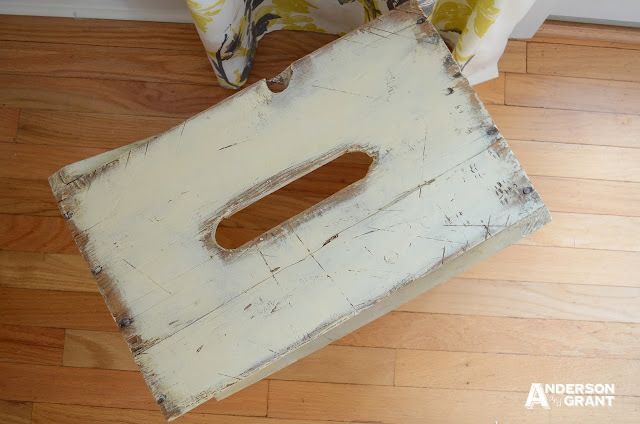 I literally slopped two coats of white chalk paint onto my footstool, but did not paint to the edges of the stool and did not try to actually put a good solid coat of paint on anywhere. I didn't try to fill in the nicks and scratches with paint....if paint went into them that was fine, but otherwise I left them as they were. 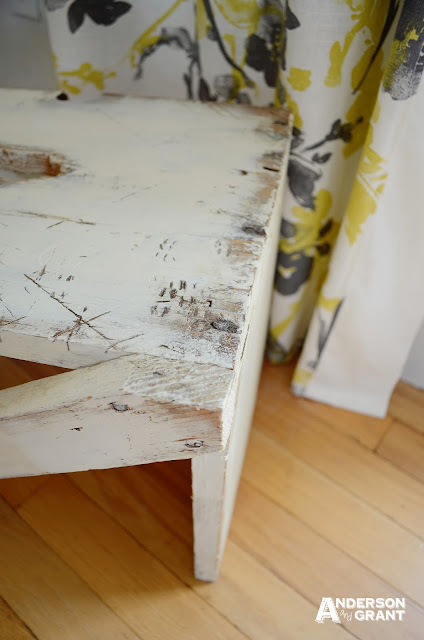 After I had "painted" the stool, I took some sand paper over the entire piece paying special attention to the places where my paint line met the unfinished wood. I used a little extra elbow grease to blend the two areas together, leaving a nice worn finish. I'm thrilled with how this painting technique worked out and it couldn't be easier to do. I love the look of an old painted finish that has had years of wear to it. That is what I was going for on my stool and I think I was pretty successful in achieving it. What do you think?